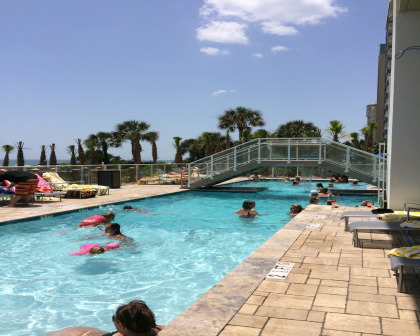 A luxurious resort located in the heart of Myrtle Beach's Grand Strand, Ocean 22 by Hilton Grand Vacations Club is an exciting destination in its own right. 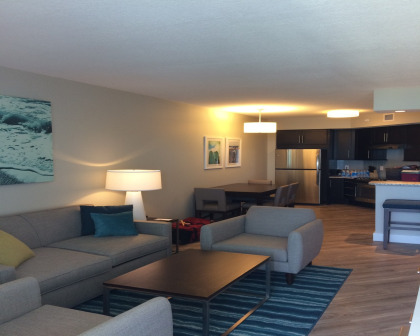 The property features sleek, modern décor throughout, yet never fails to feel warm and inviting. 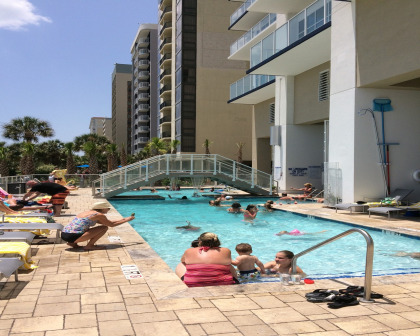 Spacious suites and plenty of extra amenities make a Hilton Ocean 22 timeshare for sale an attractive option for anyone seeking memorable vacations. 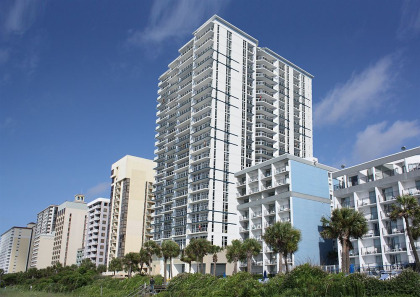 When it comes to location, Ocean 22 by Hilton Grand Vacations Club truly has it all. Guests can quickly and easily make their way to many of the area's top attractions. These include world class golf courses and the Myrtle Beach Boardwalk, a well-known spot for entertainment and excitement. The convention center is just two blocks away, and guests will find that their accommodations are conveniently located for an evening at the Carolina Opry. When you choose a Hilton Ocean 22 timeshare for sale you will have your pick of stunning, well-appointed suites. One, two and three bedroom accommodations are available, providing plenty of space for your party to enjoy some privacy. Guests can expect full or partial ocean views from every room. 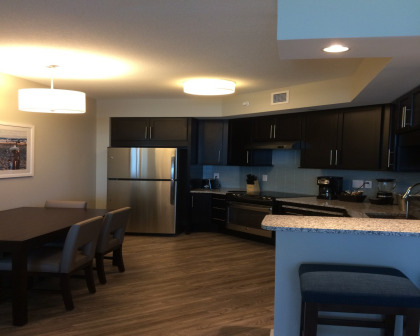 Each suite boasts a fully equipped kitchen that includes granite countertops and stainless steel appliances. For the convenience of guests, the accommodations also have private washers and dryers. 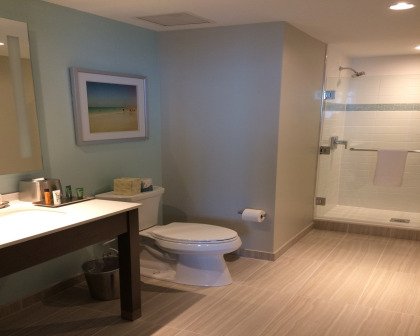 Bathrooms are large and feature separate showers and bathtubs for the ultimate in convenience and relaxation. The plush, luxurious beds are fitted with top-of-the-line linens and pillows for a perfect night's sleep. You'll always enjoy your stay when you buy an Ocean 22 Hilton timeshare. Around the property you'll find plenty of other reasons why choosing a Hilton Ocean 22 timeshare for sale was the right decision for you. The lush landscaping is the perfect complement to the area's natural beauty. You'll have two pools, one indoor and one outdoor, to choose from. There's a relaxing poolside bar where you can sip a cool drink and another laid-back lounge in the sophisticated lobby. A convenient deli sells pastries, sandwiches and salads for snacks on the go. The property's youngest guests love the Activity Club where there's always something fun going on. You'll never have to worry about the kids being bored at this resort. A state-of-the-art fitness center makes it easy for you to stay in shape no matter how long you stay. 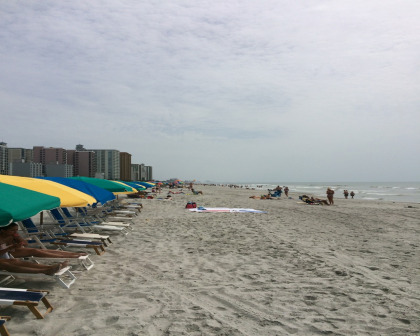 Myrtle Beach is a destination that has something for everyone. From great golf to memorable attractions like the Family Kingdom Amusement Park, Ocean 22 by Hilton Grand Vacations Club puts you in the midst of it all. You'll have great dining, exciting nightlife and family fun at your fingertips. Plus, with signature Hilton service and many desirable amenities you'll hardly need to leave the property to have a great time. 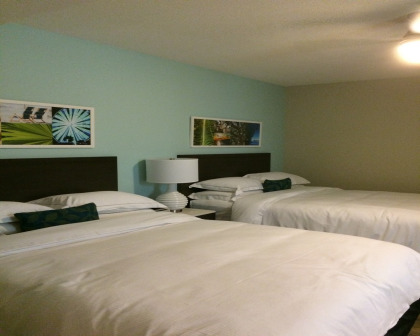 Contact Ocean 22 by Hilton Grand Vacations Club Specialist Today! I am retired military and an avid golfer. Since 2012, I have participated in the National Retired Military Golf Classic (NRMGC) held every year the during the last week of May but before the Memorial Day Holiday. If you would like to enter this tournament, please mention my name as a referral which will give me a gift card perk at the PGA Superstore. The first year we stayed at the Anderson, which at that time was one of the nicest places in Myrtle Beach and the best place the NRMGC staff had blocked rooms at. The following year, we also stayed at the Anderson and decided to become owners at Ocean 22 which opened in 2014 and which was a step above and beyond the Anderson. We've stayed there every year since and this year we traded up for more points and ownership at the Enclave which will open in 2019 and is going to be even nicer than Oceans 22. Unfortunately, health concerns have caused us to have to change long term plans of timeshare ownership. We are heartbroken over this but have decided it is best for us to sell now. 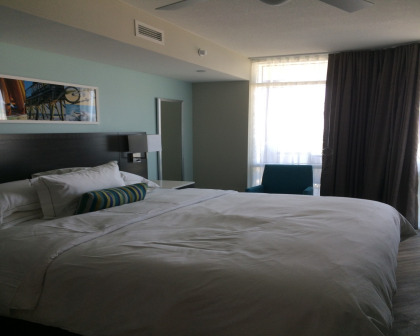 This will be the nicest place to stay in Myrtle Beach and we will always have fond thoughts of our vacations spent there. I am retired military and an avid golfer. Since 2012, I have participated in the National Retired Military Golf Classic (NRMGC) held every year the during the last week of May but before the Memorial Day Holiday. If you would like to enter this tournament, please mention my name as a referral which will give me a gift card perk at the PGA Superstore. The first year we stayed at the Anderson which at that time was one of the nicest places in Myrtle Beach and the best place the NRMGC staff had reserved. 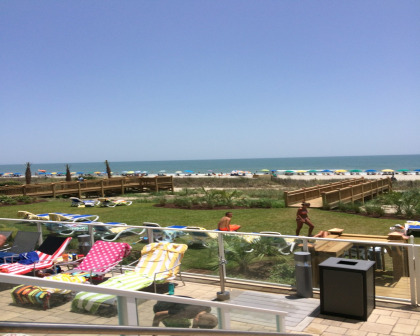 The following year we also stayed at the Anderson and decided to get into a timeshare at Ocean 22 which opened in 2014 and which was a step above and beyond the Anderson. We've stayed there every year since and this year we traded up for more points and ownership at the Enclave which will open in 2019 and is going to be even nicer than Oceans 22. Unfortunately, health concerns have caused us to have to change long term plans of timeshare ownership. We are heartbroken over this but have decided it is best for us to sell now. This will be then nicest place to stay in Myrtle Beach and we will always have fond thoughts of our vacations spent there.